Welcome to The Letters Project site. 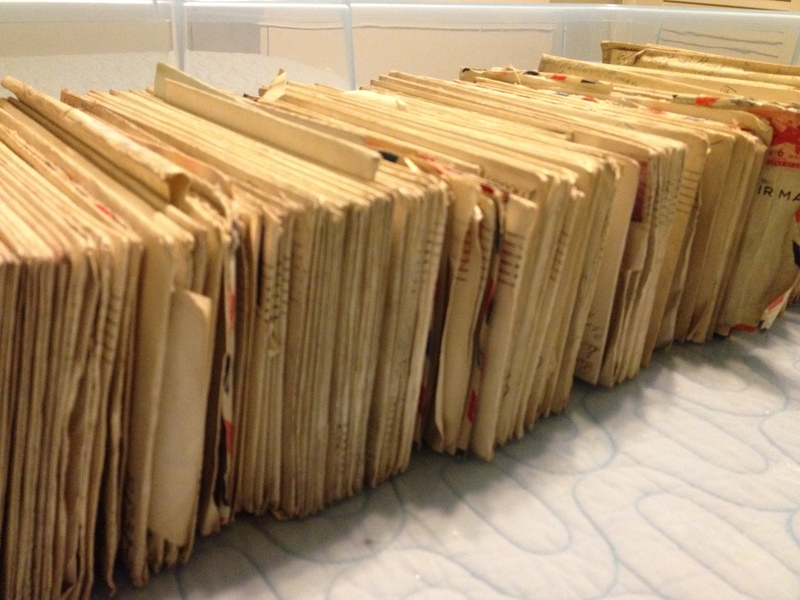 As you can read in the first blog post, I am documenting the project of scanning, filing, recording, and transcribing what is now over 350 handwritten letters, mostly from my father to my mother during WWII (1942-45) and Korea (all from 1951), right up to his death on 5 July 1951. 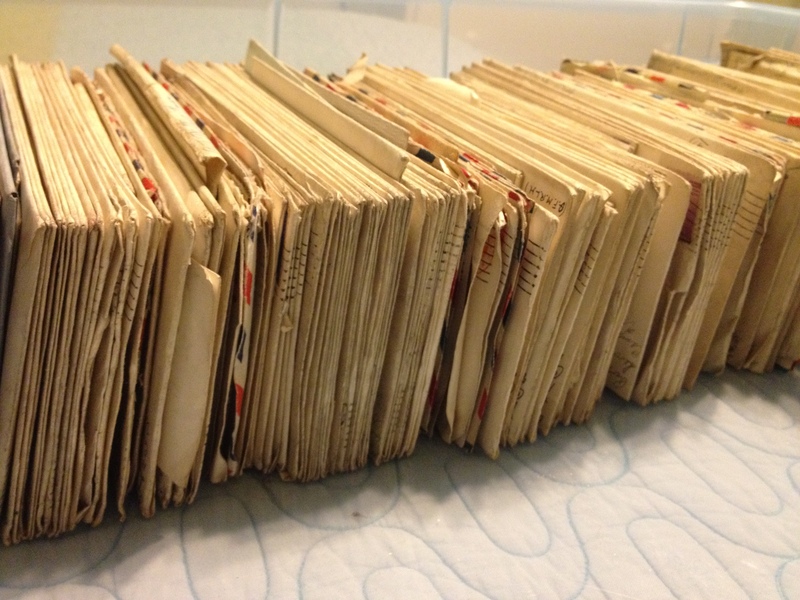 I also found in the collection a handful of letters from my mother to my father that he returned in bundles periodically, for whatever reason, I don’t know, but that reason might be discovered upon reading. 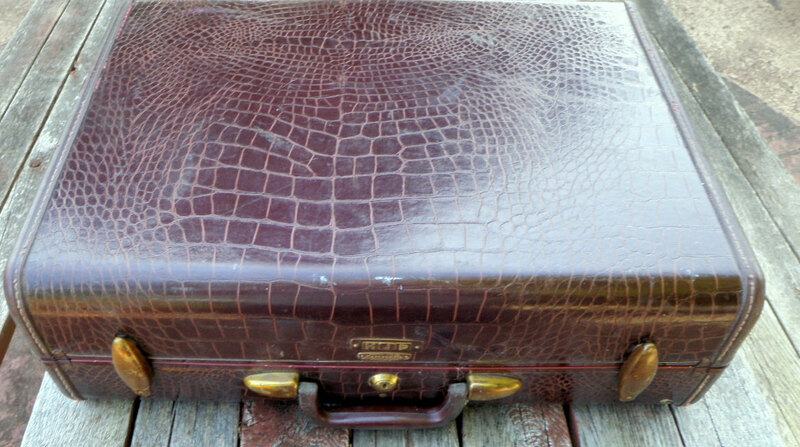 For as long as I can remember, the letters sat in a brown, faux-alligator suitcase (like the one pictured below) under my mother’s bed, until she sold her house and moved into a series of apartments and then into assisted living before her death in 2009. At some point, she put them into a plastic, lidded storage box, still in neat rows, on end, an arrangement that I think helped to preserve them. She never talked about the letters or about why she saved them, although she did identify them early enough that I have the sense I always knew what they were. For many years they have been stored under my own bed, until this summer (2012), when I began this project. If you are wondering why I am doing this project now or why I waited so long, I don’t think I have the answer. I always just thought of them as having to be preserved and that since they came to me, it was my responsibility to do that, but it has only been recently that I decided that preservation means more than keeping the box safely stashed. Maybe it’s because I have been formally trained to work with writing and documents, and so it seems right that I should take it on. Maybe it’s because so many letters seem to constitute my father’s magnum opus and that they deserve to be put into a more lasting record. Or maybe it’s just that my mother went to all the trouble of saving the letters in the hope they would say to future readers whatever it was they said to her so long ago. That’s a big enough reason. Found on eBay, this is how I remember the suitcase. 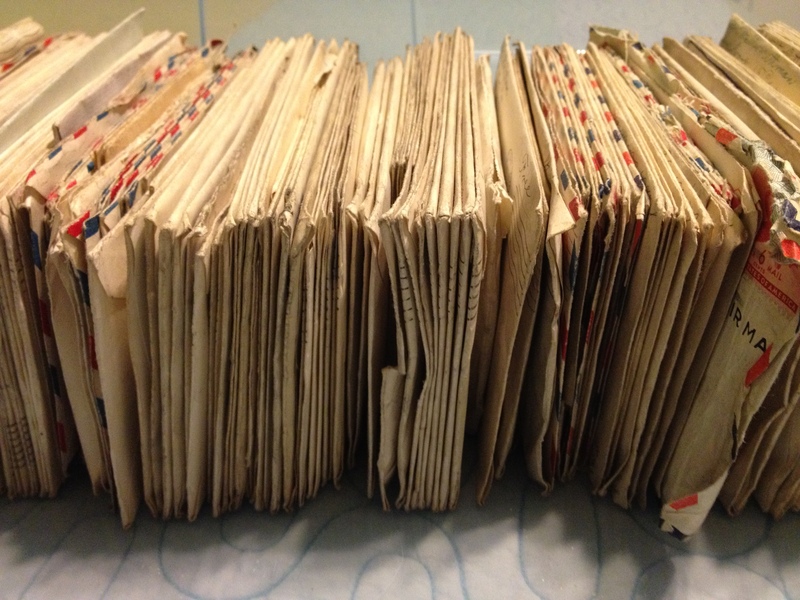 This site will be used to document the project of transcribing and preserving a collection of letters written by my father to my mother (mostly) while he was in the military, between 1942-51. 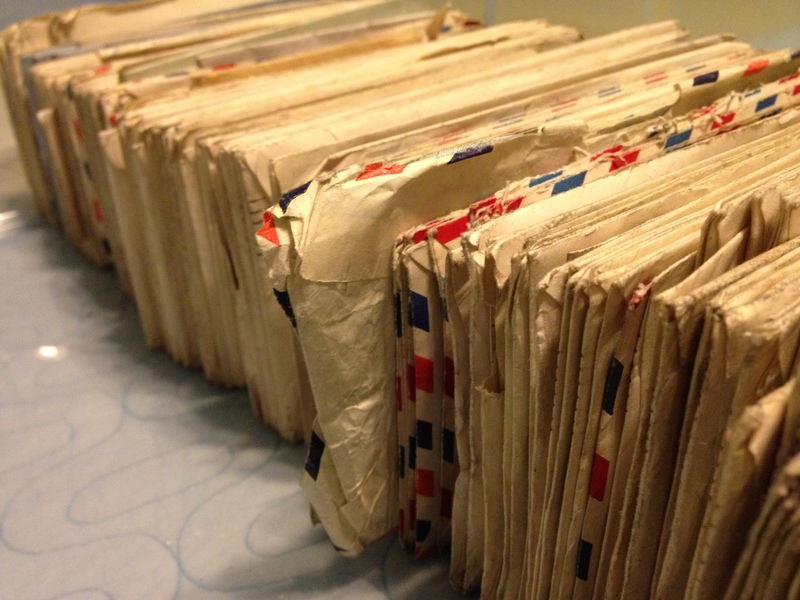 In addition, the letters will be posted here as scanned images and transcriptions (that takes time). I am going to be selective about posting reader comments, mostly because there might be some personal topics that I don’t want to discuss in public. If I edit or reject one of your comments, don’t take it personally. Contact me privately, if necessary.